If you value your life, don’t dare to suggest to Nick Chatterton that he’s not a good writer! Nick is embarking on his latest crime/horror novel – a pastiche of the Vincent Price movie Theatre of Blood – where Nick draws up a hit list of his enemies within the writing world and gets his narrator to dispatch them according to the plots of classic crime and horror movies, such as Reservoir Dogs. Top of the list is a writer who is both a superstar of the horror genre and who in Nick’s reckoning has wronged him the most. Nick first met Hugh Canford-Eversleigh at a reading more than a decade ago and fell madly in love with him, interpreting their encounter as the start of a magnificent affair. Nick’s feelings soon expanded into full-blown obsession, and he stalked Hugh, believing his love would eventually be returned. Nick was repeatedly rebuffed, much to his anger, but it was years later that his rage reached murderous proportions, due to an unexpected and outlandish twist of fate. Now through his novel, The Facebook Murders, Nick is settling all his old scores, blurring the lines between autobiography and fiction – and with his obsessions reaching fever pitch, blurring the lines between writing about nasty stuff and doing nasty stuff for real. Nick Chatterton is really feeling quite sorry for himself, frustrated and disillusioned with his life and the people in it. Most days he spends day dreaming of the life that he believes he should have had, if people had just recognised his talent as a writer. He easily loses track of time which his partner Robin is not too happy about when he returns home from work. Then an idea springs to mind for his next attempt at a new novel. The Facebook Murders. The concept of the new book is to take old classic movies and imitate murder scenes by replacing the victims by people who have stood in his way to achieve his goal of becoming a top ranking world renowned author. For the first time in a long time Nick has a buzz about him as he projects his self into the new character he invents, Jago Farrar. As in the Vincent Price movie, Theatre of Blood, Nick complies a hit list of revenge. From fellow writers that he knew when they began their careers, but have made the big time and cut him out of their lives, to people who have flatly rejected him from the start, he casts each one in a classic role of a reconstruction of a very violent death. From The Reservoir Dogs, to The God Father to Blue Velvet and The Wicker Man, some of the most violent killings that have hit the big screen. This is quite a wickedly written book where at times I just didn’t know if it was a story in a story or actually happening, what I did know was there were some pretty gruesome murders all carried out with total satisfaction for Nick. I really took to this story having seen the original movies when they hit the cinema so it was even easier to imagine the scenes that Nick created in my mind. Believe me they were disturbing the first time round and it didn’t change here. The author uses his obvious love and knowledge of the film industry for this book and it works extremely well. Nick wasn’t a character that I felt easy with at all, quite an unbalanced and needy character, weak in real life but drawing strength from the character he had developed in his novel. Perhaps a person he wanted to be just too much. Loved the end. Roger Keen was born in London and attended Plymouth College of Art & Design and Bournemouth & Poole College of Art & Design, studying fine art, photography and film. Since then he has worked extensively in television, contributing to many award-winning dramas, documentaries and children’s programmes for the BBC, ITV and Channel 4. His programmes have won Royal Television Society, Worldfest-Houston and other awards. He began publishing fiction and non-fiction in the 1990s, specializing in articles and reviews concerning weird film and literature. He has a particular interest in the Surrealists, the Beat writers, cyberpunk and the psychedelic movement. His work has appeared in anthologies such as Out of the Shadows and magazines including the PsypressUK Journal, Critical Wave, Writer’s Monthly, Threads and The Third Alternative. He also contributes to websites such as Reality Sandwich, The Digital Fix, Infinity Plus and The Zone. 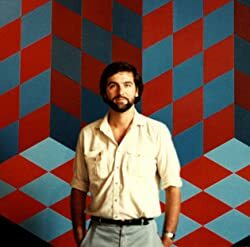 In 2010 Roger published The Mad Artist: Psychonautic Adventures in the 1970s, a novelistic memoir concerning his pharmo-picaresque adventures as an art student. It is both an example of psychedelic ‘trip-lit’ and a piece of experimental ‘reality fiction’, exploring the interface between autobiography, fiction and metafiction. 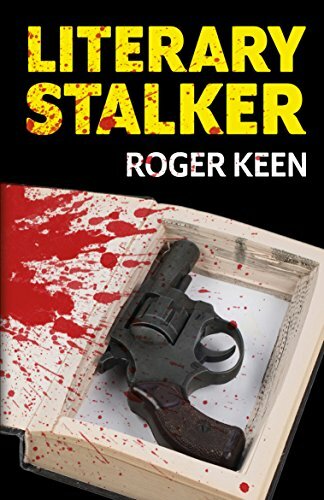 The recently published metacrime novel Literary Stalker takes these elements further in pure fictional form, involving self-begetting and nested narratives looping into one another. As a horror/crime piece with liberal amounts of violence and multifarious nods to simpatico novels and movies, it plays with ideas of genre, and in the traditional of metafiction, it’s very ‘nudge-wink’, tongue-in-cheek and blackly comic.